Masterbol Injection is an anabolic steroid which is well known in bodybuilding and athletes. Masterbol is Drostanolone Propionate ingredient Injection which protects the hormone from the metabolic breakdown by the 3-hydroxysteroid dehydrogenises enzyme, which is found in the skeletal muscle. Masterbol increase in collagen synthesis and bone mineral content. This injection is manufactured only by shree venkatesh international and available in packing strip of 5 ampoules. 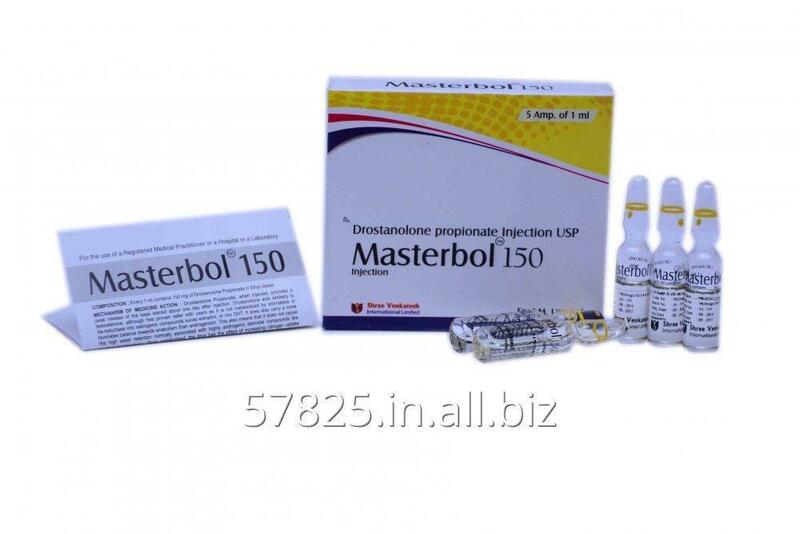 Unbelievable price on Masterbol 150mg - Drostanolone Propionate in Surat (India) company Shree Venkatesh International Limited.